The Dallas Cowboys approached CrowdSync about wanting to make one of their half time shows particularly special. 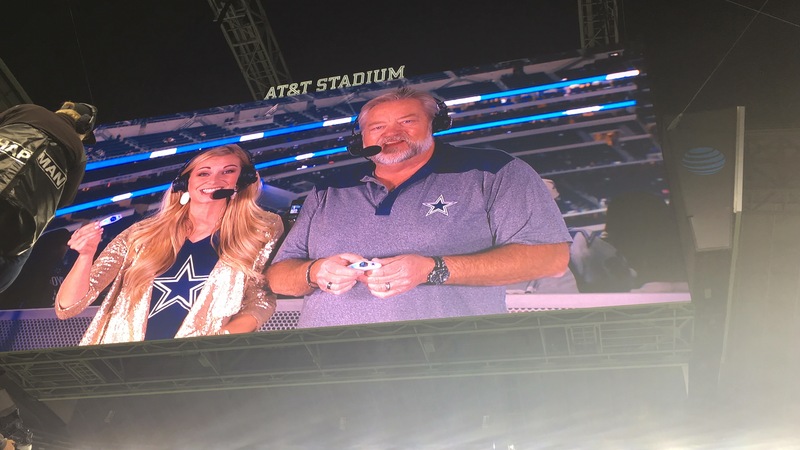 During the half time show, the Dallas Cowboys wanted to honor their owner of eighteen years, Jerry Jones, who was being inducted into the NFL Hall of Fame. 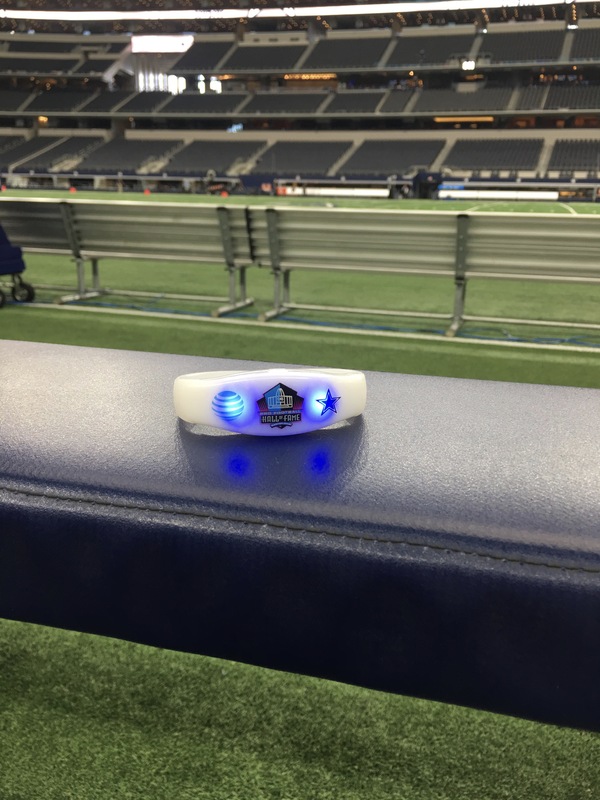 The franchise held a ceremony during half time and utilized CrowdSync’s LED wristbands to create a memorable moment. AT&T sponsored the ceremony, so every wristband had their logo on it too. 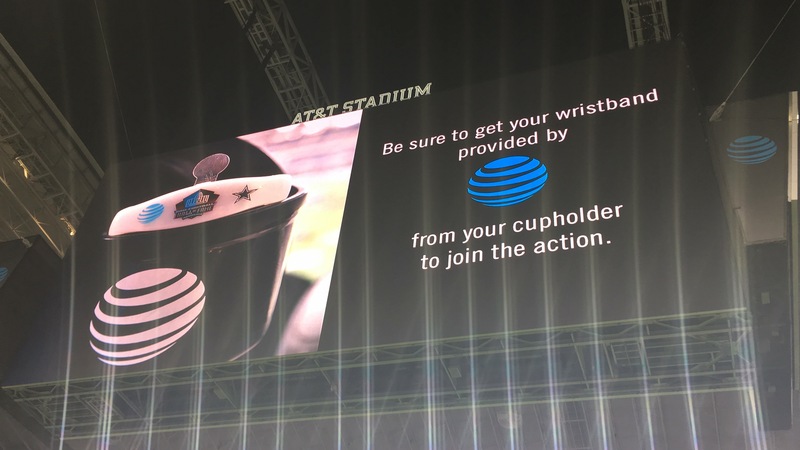 Using CrowdSync’s wristbands was a unique way to activate the AT&T brand sponsorship that fans could truly enjoy! Reach out to a team member today to see how we can create a similar experience at your upcoming events!